Whether you’re an avid green thumb or a newbie gardener, raised beds are a lovely garden solution for growing fruits, vegetables and even ornamental plants. 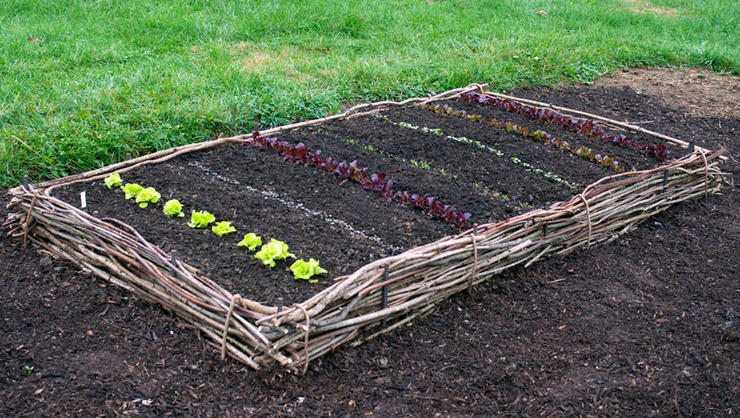 We’ve gathered 10 great raised bed garden ideas for Spring that will inspire you to bust out the seed catalogs and start measuring your yard in preparation. The following options are easy, DIY garden bed solutions, made from products you might already having lying around your house, like rebar, planks, cinder blocks and excess logs. Some of the other designs are a bit more complicated, but add an extra level of beauty to your garden. If none of these options sound appealing to you (or if you don’t feel like buying the necessary items), take a peek at our recent post about our top choices for raised bed garden kits. These gorgeous kits are easy to put together, and make garden beds just a bit easier. 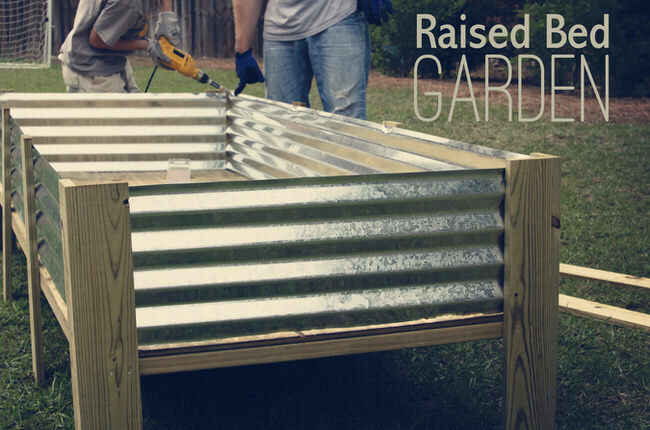 Get your raised bed garden up fast with this simple solution. You may even have these items hiding in the garage or shed anyway! Since this one is not sealed on the sides or bottom, you may have still have pest issues, so keep a mindful eye on your garden with this option. Be sure to choose chemical free wood, like naturally pest resistant cedar. If you’re buying new, try to find wood that’s FSC certified. Get Rodale’s step-by-step guide for this project here. You can’t get more natural than this! 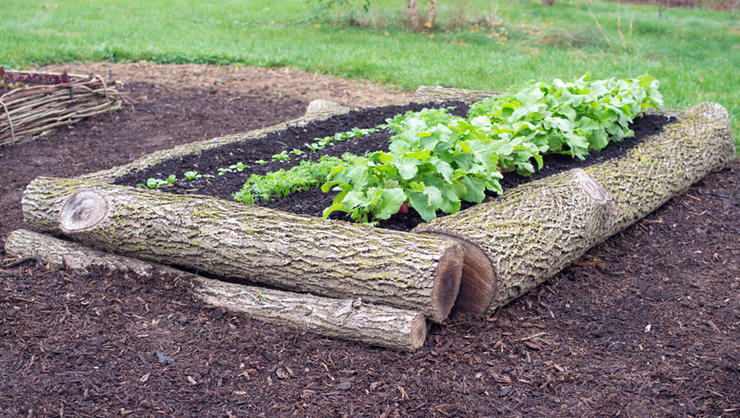 If you did some tree trimming around the yard last season, use some of the excess logs to make a raised garden bed. The same concern about pests apply here, so be mindful of the critters. Perhaps not the most natural option, cinder blocks still get the job done quickly and cheaply. 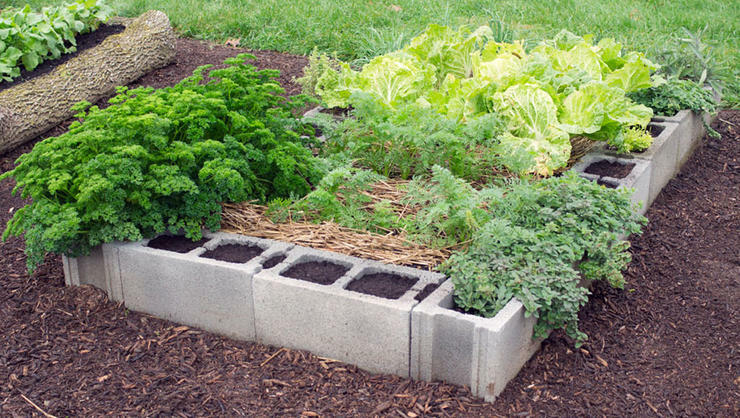 You can stack the cinder blocks to make a higher sidewall to discourage critters like bunnies from eating your sprouts. Not the most beautiful option, but sandbags are certainly practical, especially if you live near a beach or lake with free sand. A jute or natural fiber bag might be a better choice than plastic, but choose the option that fits your budget best. Wattle is woven sticks and twigs that make a lovely edging for a raised bed garden. Buy it premade or made it your new hobby this winter. Find the tutorial for a wattle-edged raised bed garden from Rodale. This gorgeous idea is a great way to make your garden grow. This idea comes to us from Arcadia Farm. 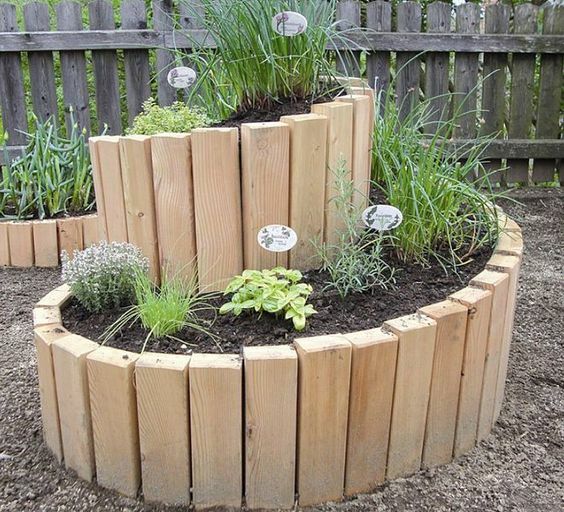 For the DIY enthusiast: a raised bed garden spiral! Mystical and practical! Image from Arcadia Farms. If you spent your winter staying warm by drinking wine, you surely have some boxes leftover, right? 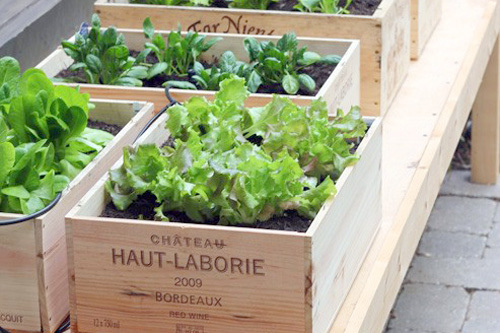 Make the most of them this Spring with these wine box planters. Not technically a raised bed, but basically the same concept. And it keeps your plants off the ground, reducing exposure to pests. Keeping it rustic with bales of hay. 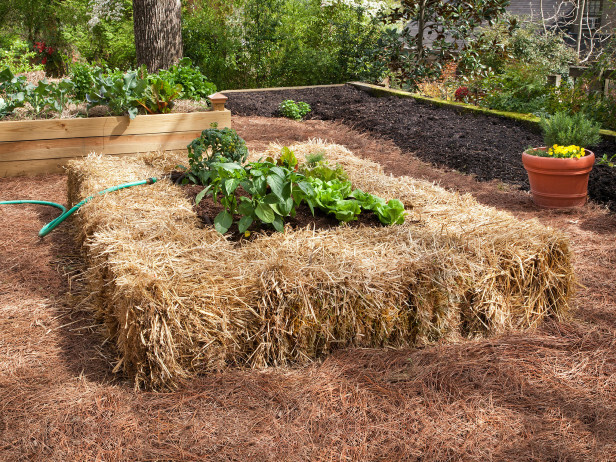 This is a great option, because as the hay wears down over the seasons, it can be used to enrich your compost. It does make accessing the beds a big more challenging than the other options, so grow stuff that takes awhile to grow for less-frequent harvesting (like cauliflower or broccoli) instead of quick harvest like herbs or lettuce. 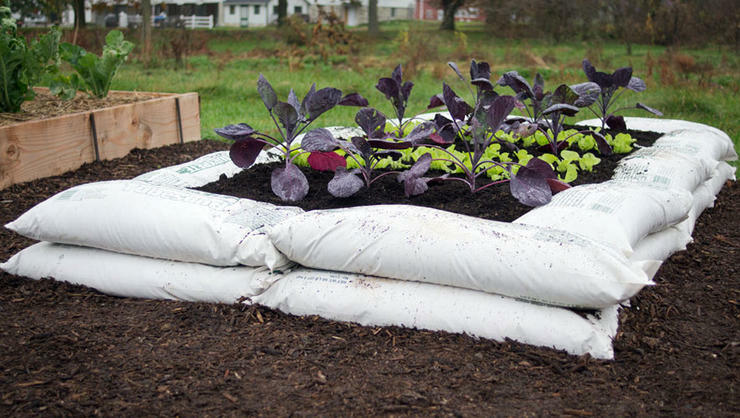 A healthy garden leads to a healthy compost pile in the future. Image from HGTV/Bonnie Plants. Project Alicia made these cool (high) raised beds with some 2×4 planks and metal roofing materials. Find the tutorial for this project here at Project Alicia. 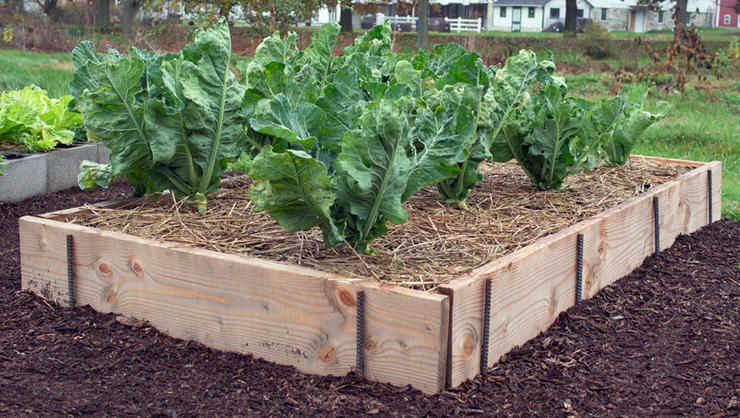 And if you want to make the most of your raised bed, Rodale has a great solution known as a keyhole garden. As you can see in the picture below, a keyhole garden allows you to access the entire bed, and it’s a beautiful shape. 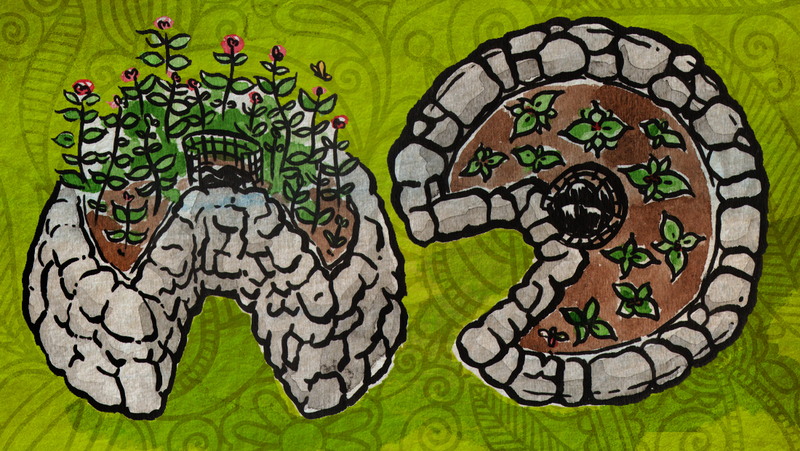 Learn more about keyhole gardening (and get measurements and tutorials) here. Here’s another great keyhole gardening tutorial from Sustainablog. A great idea for highly usable garden beds: the keyhole garden bed design. And if you want something a little different, check out our tips for vertical gardening!